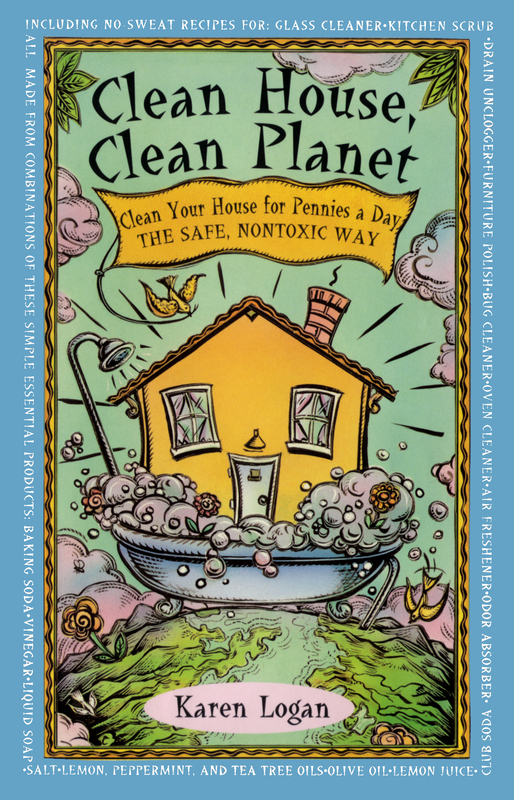 Go green with this rollicking guide to eco-friendly cleaning alternatives that will help you save your health, your money, and your planet. How many times have you said you’re killing yourself trying to keep your house clean? You might have been joking, but you’re closer to the truth than you think if you’re using expensive commercial cleansers. Karen Logan, an environmentalist with years of experience developing and selling her own line of eco-friendly cleaning products, reveals the secret of using simple, ordinary ingredients—like baking soda, vinegar, soap, lemon juice, and salt—to make safe, inexpensive cleaners. -Olive oil is not only good as a salad dressing, but also as a furniture polish. -Plain club soda works great as a window cleaner. -You can make your copper-bottomed pots sparkle with just lemon juice and salt. -Ordinary liquid soap and water will clean up those ants marching through your kitchen. Karen Logan is an environmentalist. She is the author of Clean House, Clean Planet.